The automotive industry has grown exponentially, reaching 16.5 million vehicles sold in 2014 and an estimated 16.9 million for 2015. With the rise in auto sales, it is no surprise that consumers are feeling more confident in the economy and willing to spend more money. However, experts are wary of the cost of new vehicles and how this affects consumers. The Center for American Progress recently stated that auto finance is the third biggest credit market in the country behind student loans and mortgages. The article went on to say that at least 86 percent of families own at least one vehicle and are American’s most common asset. What’s more, as the cost of buying a new vehicle continues to rise consumers need to borrow more and for longer in order to bring the monthly payment down. The article also mentioned that 85 percent of new vehicle and 54 percent of used car sales are financed. With so many vehicles being financed, consumers must be mindful of their monthly budget in order to afford brand new models. For drivers looking for a shorter-term, more affordable commitment leasing a car might be the better option. 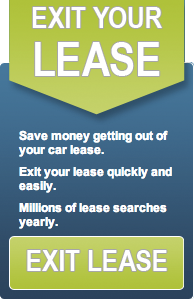 Swapalease.com, the largest online lease transfer marketplace, is the place to go for short-term leases. Why would I want to take over a lease? Not only is it a more economical option to purchasing a car, you are not stuck with it for the next few years. For those looking to exit their lease early, listing it on Swapalease.com is one way to avoid breaking your lease and having to be penalized for exiting your lease early.